Now we know that front yard and garden be called as Ming Tang in feng shui, it is very important for feng shui. So what we can do to feng shui your front yard and garden to get more positive feng shui energy Chi. 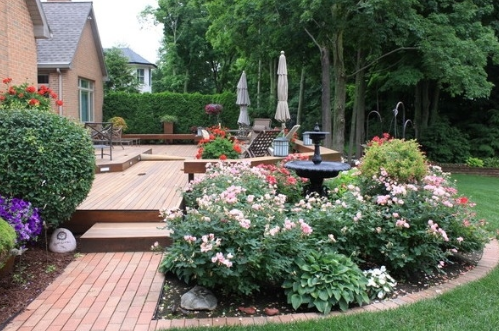 There are some feng shui tips for your front yard and garden. Continue reading: what is the feng shui Ming Tang definition. Remove dull and dying plants, including shrubs, flowers, lawn and trees. Dull, dying plants reflect the negative feng shui energy Chi. So we need to ensure the qi of front yard and garden shall be positive. The positive Chi shall be peaceful and full of life force, so first remove all dying plants and replaced by new one. Remove any trash and garbage, trash and garbage will bring negative Chi. Ensure less trash and garbage as you can. Make your garden welcoming by beautiful flowers and plants. Do not place too many plant with thorns such as cactus. If you want to plant rose, you also need to remember that do not place them near the walkway of your front yard and garden. 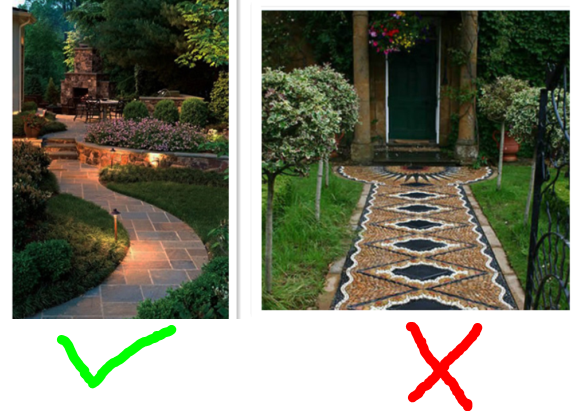 Avoid straight walkway of garden and front yard. As you know, we want to get peaceful Chi in our garden; the straight walkway could cause Chi leakage easily and cause more unstable Chi. so the walkway of front yard and garden shall be meander. The meander walkway can reduce strong Chi flow from outside and help to keep the positive Chi feng shui energy. Previous Post:What is feng shui Ming Tang Definition?